E! News is doubling down on The Rundown, announcing that the Snapchat Discover-exclusive series it debuted last September will go biweekly starting next month. E! 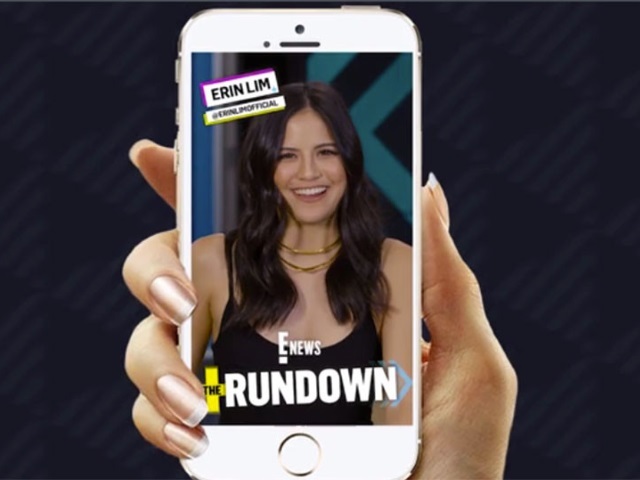 News told Sahil Patel of Digiday that viewership for The Rundown on Snapchat has soared 82 percent since its debut, with 75 percent of viewers returning on a weekly basis. The five-minute episodes of The Rundown are hosted by E! News correspondent Erin Lim, and E! News told Patel it will also produce red carpet specials of the series for events such as the Golden Globe Awards, the Grammy Awards and the Academy Awards. We’ve created systems so that people can see who is producing what on a specific topic and those materials can then be shared and utilized by everybody–whether it’s someone producing content for Snapchat, or Facebook, or TV. It’s an evolution of (Snapchat’s) platform and product that comes out of their focus on video. There are going to be more publishers that push out episodic content. Snapchat users: Have you ever watched The Rundown?